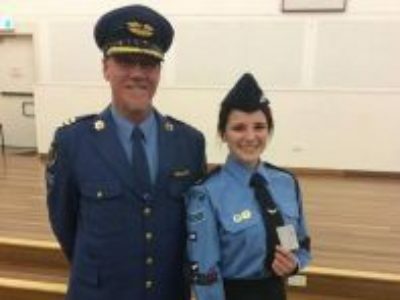 Congratulation to Sgt Bronwyn Smith of NSW Girls Group on receiving her AAL Student Pilot epaulettes. Bronwyn is the first female cadet to receive her Student Pilot epaulettes under the recently revised system. Have you ever wanted to learn do fly? You can let your dreams soar with the Australian Air League. Email or call to learn more!